Do you need to ship something to your family or business connection in Copenhagen, and need a place where they can pick up the shipment? We offer to receive and store the shipment for you, at one of the most central addresses in Copenhagen. 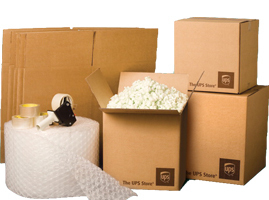 We receive shipments daily from PostNord, FedEx, DHL, UPS, GLS, TNT, Bring and more. You can send to us via any courier you prefer. If you would like us to arrange pickup from you via our courier partners, that is also possible. We’ll contact the recipient as soon as we have the shipment. We store the shipment securely at our location in Frederiksberg until pickup. The recipient can pick up at any time during our opening hours. To use our address for delivery and let us handle the shipment, we charge a small fee which you can pay in advance to us via PayPal or regular bank wire transfer. The recipient can also pay, when he/she picks up the shipment. You need to contact us in advance before shipping to our address. Please send an email to info@couriercopenhagen.dk or call us at +45 33257725. Also, if you have any questions, don’t hesitate to contact us.